Location, friendly staff, beautiful Studio Spa Room (wish we could have that room the rest of our travels!!) ....close to many restaurants, Hop on Hop off bus around the city centre.....miss it already!!! The accommodation is very well located near restaurants and shops in a quiet street. The room was appointed to a high standard, clean and well maintained. Parking was off-street adjacent to the rooms. Facilities were excellent and the staff were very friendly. It was so clean and neat. The moon/skylight was amazing, very pretty at night. Car parking was easy. 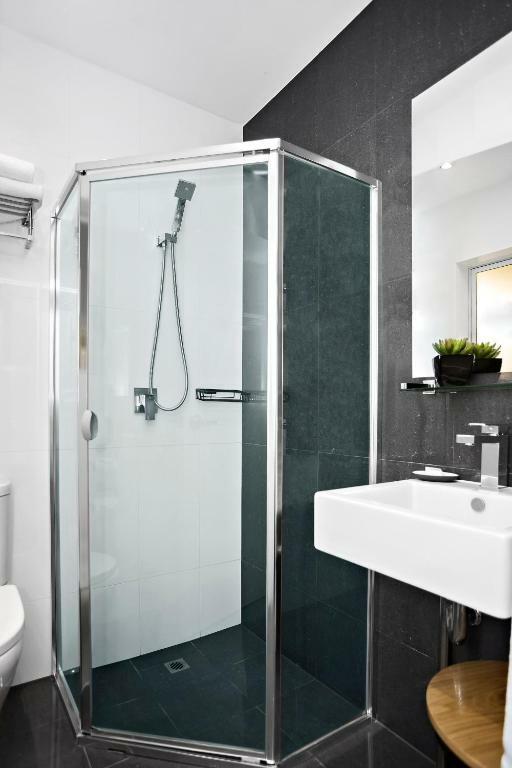 Key drop box was great, the location was excellent and the shower was huge. We would stay again and recommend to others. Everything Was great. All went like clock work Thank you. 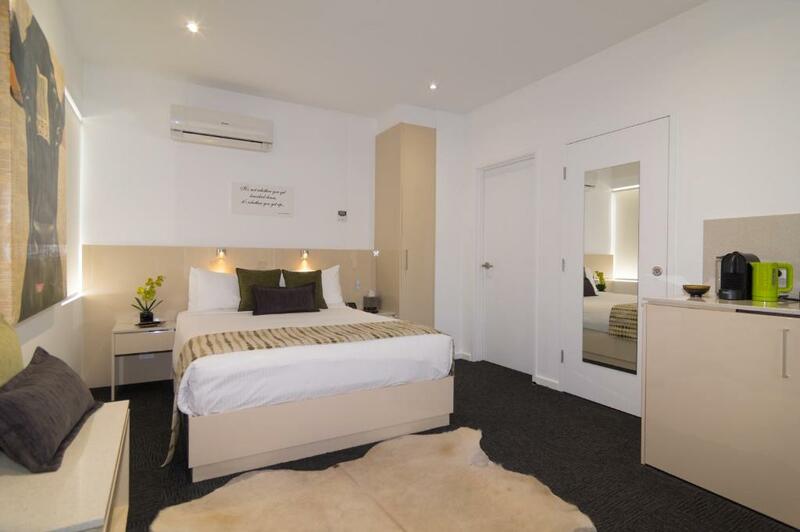 Lock in a great price for North Adelaide Boutique Stays Accommodation – rated 9.5 by recent guests! 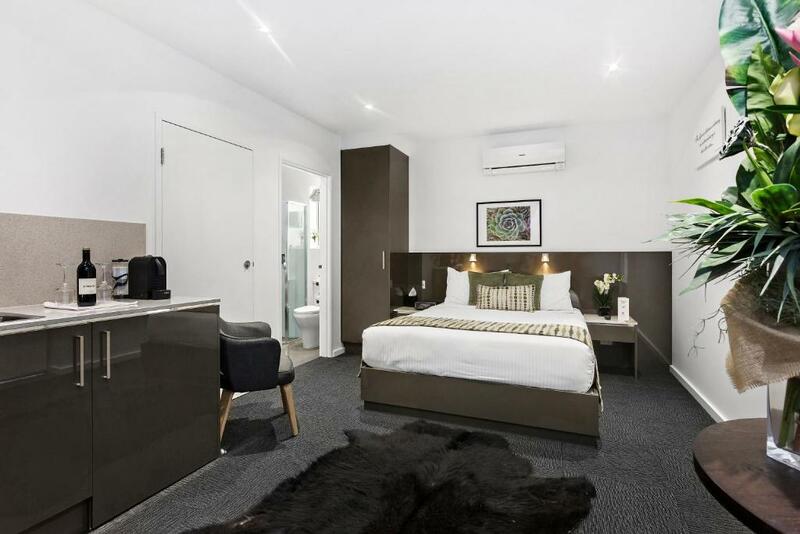 North Adelaide Boutique Stays Accommodation This rating is a reflection of how the property compares to the industry standard when it comes to price, facilities and services available. It's based on a self-evaluation by the property. Use this rating to help choose your stay! 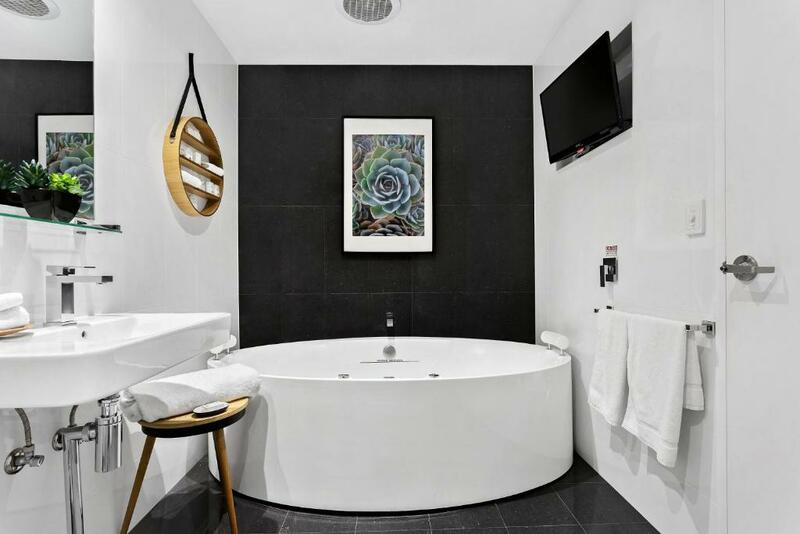 Nestled in picturesque Gover St and surrounded by Adelaide's beautiful architectural homes, this property offers boutique style accommodations, with 1, 2 and 3 bedroom studios. 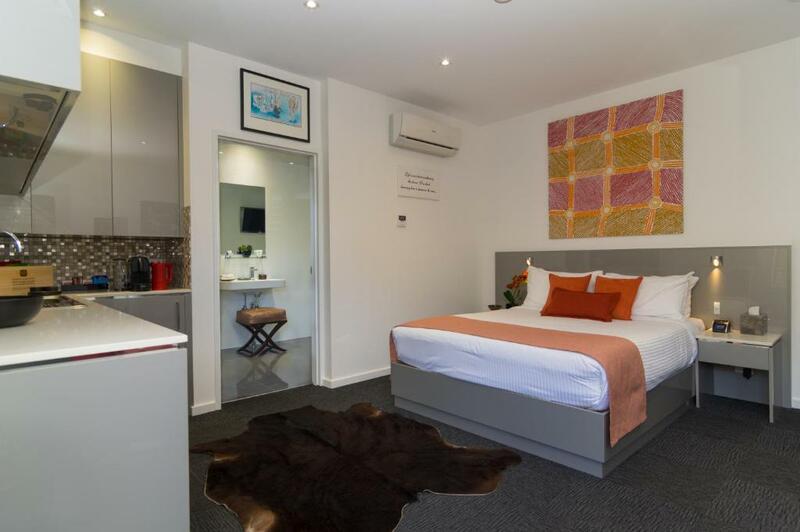 Built in 2014, North Adelaide Boutique Stays Accommodations are located 1.2 mi from Adelaide City Center and within walking distance of local bars and the dining precinct. The iconic Adelaide Oval and Adelaide Festival Center are a short stroll along O'Connell Street. Each studio offers complimentary WiFi, cable channels and limited on-site parking. 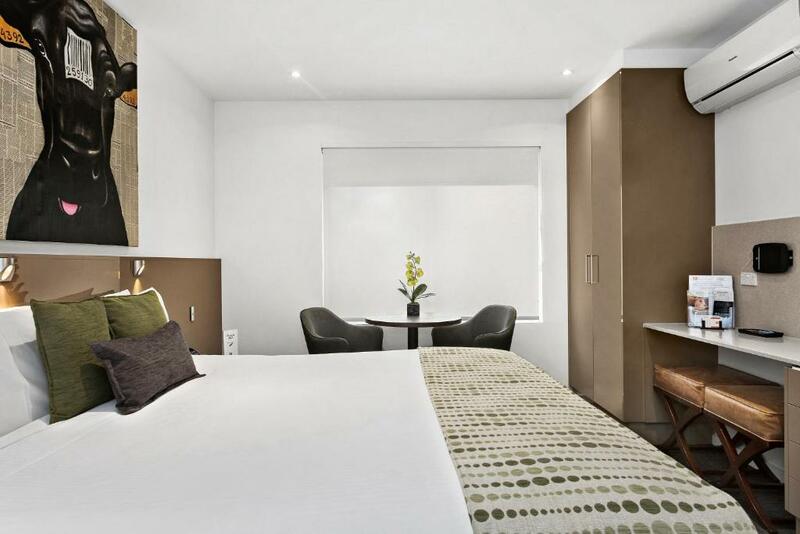 In room amenities include a Nespresso coffee machine, iPad, kitchenette facilities, mini bar and private bathroom. Guests can enjoy a fantastic night's sleep with a pillow top mattress and pillow menu. Hairdryers, towels and toiletries are available from reception upon request. This property also has one of the top-rated locations in Adelaide! Guests are happier about it compared to other properties in the area. This property is also rated for the best value in Adelaide! Guests are getting more for their money when compared to other properties in this city. When would you like to stay at North Adelaide Boutique Stays Accommodation? 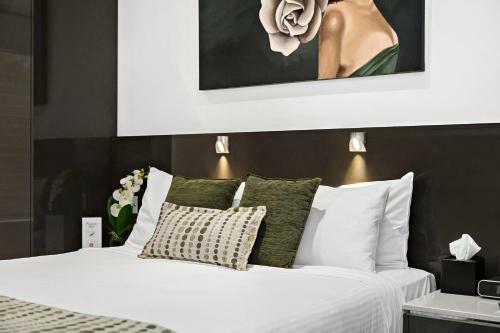 This studio features an private bathroom, a pillow top queen-sized bed, a Nespresso coffee machine, cable 40-inch flat-screen TV and a mini-bar. This hotel room features a LCD 40-inch TV with cable channels, a coffee machine, microwave, mini bar and a queen-sized bed with pillow top. This studio features an private bathroom with a large spa bath and an LCD TV. It also includes a queen-sized bed with a pillow top, a Nespresso coffee machine, a 40-inch flat-screen TV with cable channels and a mini-bar fridge. This studio features facilities for disabled guests. It also includes a kitchenette with a microwave, Nespresso coffee machine and a mini-bar fridge. There is a queen-sized bed with a pillow top and a 40-inch LCD TV with cable channels. Please note a hospital bed is only available for 1 studio. Please request your preferred bedding configuration in the Special Requests Box at the time of booking. Please note that the bedding configuration is not guaranteed and will be confirmed upon arrival, subject to availability. 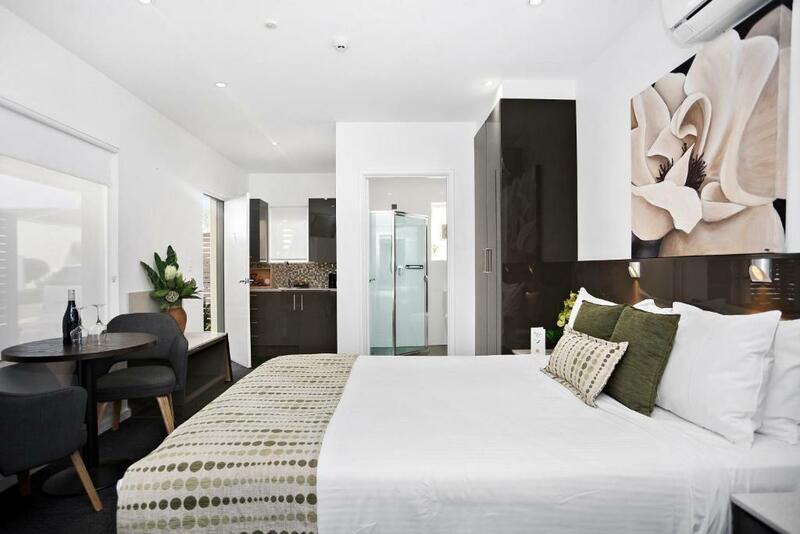 This modern studio features 2 interconnecting studios and 2 bathrooms. This suite features 3 interconnecting studios and 3 bathrooms. We are situated just a few minutes walk to approx 40 Restaurants, cafes and pubs. Also walking distance to the Adelaide Oval and the Aquatic Centre. All the staff are passionate about making your stay an enjoyable experience. Our property is in a quiet leafy street of North Adelaide and only a few minutes walk from approx 40 restaurants, cafe's and a 24 hour Bakery. Guests can walk to the Adelaide Oval and/or into the city. We are a few minutes walk away from the Free City Loop Bus and 5 minutes from the Adelaide Aquatic Centre. We have complimentary bikes for hire. We are approx 3 minutes walk from the North Adelaide Library. Area Info – This neighborhood is a great choice for travelers interested in cafes, restaurants and parks – Check location Excellent location – show map Guests loved walking around the neighborhood! 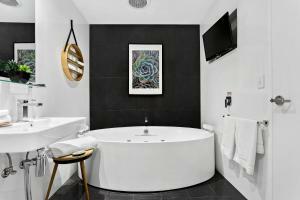 House Rules North Adelaide Boutique Stays Accommodation takes special requests – add in the next step! North Adelaide Boutique Stays Accommodation accepts these cards and reserves the right to temporarily hold an amount prior to arrival. Please note that there is a 1.14% charge when you pay with a Visa or Mastercard credit card. Please note that there is a 1.98% charge when you pay with a American Express credit card. Please note that there is a 3.22% charge when you pay with a Diners Club credit card. Please inform North Adelaide Boutique Stays Accommodation of your expected arrival time in advance. You can use the Special Requests box when booking, or contact the property directly using the contact details in your confirmation. The people were nice and the location was prefect. This is my favourite place to stay when I need a room for a night or two. The decor is beautiful and different in every room, the beds are amazing and the customer service is second to none. The most convenient spot too! Everything suited our needs, nothing we were unhappy with. The location was very central in a very relaxed and welcoming environment,staff were very professional and friendly making the stay a real pleasure, very refreshing these days! The room was really nice and much much better than where I stayed last time for the same price. As I was arriving late I had been given the code to the key box so checkin was super easy and the checkout was just a key drop, again due to early departure. The room was really nice, the minibar, which I didn’t use, was different to normal and had I wanted anything, better than normal standard. It was also quiet compared to where I stayed last time. There are planes flying overhead but I’m used to that from home. No complaints on any level. Everything. And Angela is an Angel!